This Mexican can be a nice shrub in the right spot. I saw it looking marvellous in full sun near the coast in Victoria once. It is one of the few salvias prone to spider mite. It seems to grow best in some shade in hot areas. 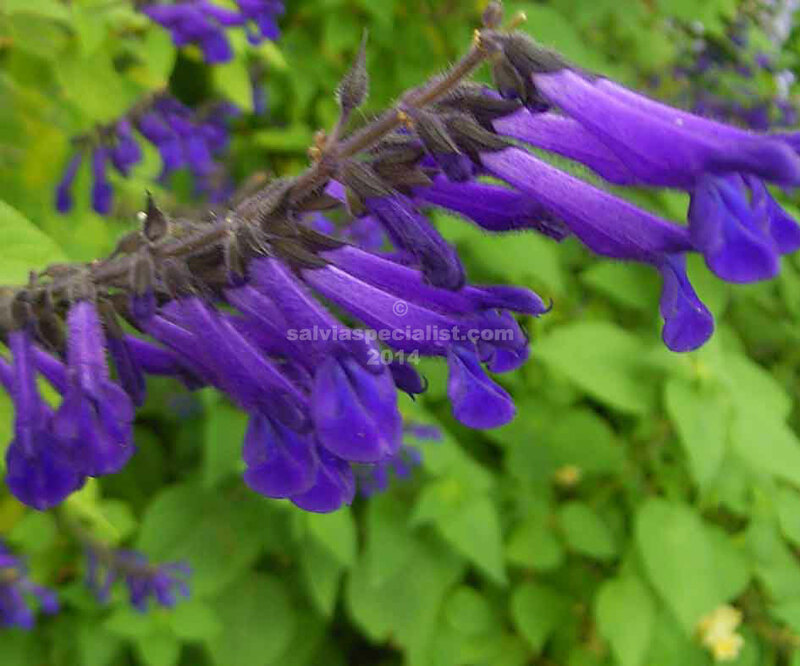 The leaf stems are quite blue which is an identifying point, though a few salvias have paler bluish leaf stems. Flowers are narrow velvety indigo blue in the cooler months. It is frost tender under -2 and I don’t think it would be real happy in drought. It is not hard to grow from cuttings or it will layer if given the opportunity. It is somewhat similar in growth to mexicanas.